We recently purchased 28 young tomato plants and several days later we started noticing black spots appearing on their leaves. It quickly spread throughout all of the plants (still in their containers) so I called the nursery where they came from for information. Turns out they had whats called Septoria, a fungus that is common in tomatoes. The nursery gave us a spray to help kill off the fungus with instructions to spray them again in 7-10 days. Several sources I have read say that if the plants are in the gardens then we should not plant tomatoes there for a couple years (YIKES!) but I have yet to plant these and they have not been anywhere near our gardens yet. 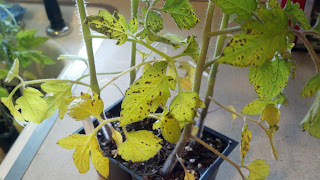 What I'm trying to figure out is if I spray these plants as directed and plant them after all signs of the fungus are gone, are my gardens safe for future plants? 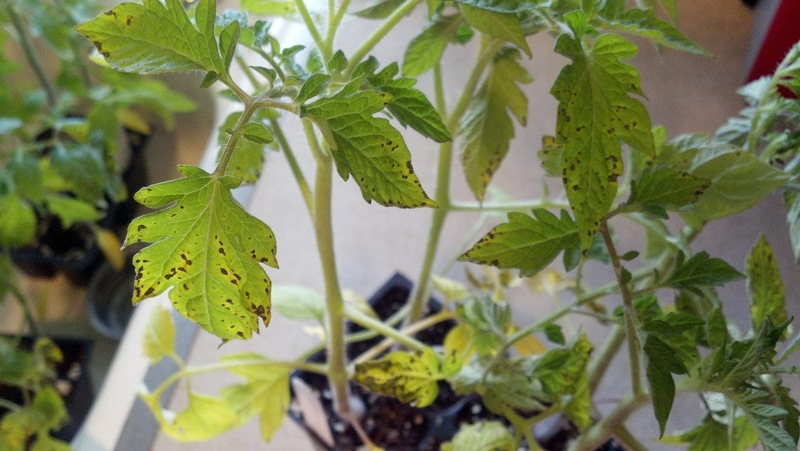 Or are these plants permanently infected despite treatment before planting and may possibly infect our future gardens? I'm planning to call our local agriculture extension office and pick their brains tomorrow. Until then, what do you think? We're still not fully averaging 50+ degree nights here so the plants aren't ready to go in the ground yet anyway, and I'm keeping them away from the gardens until I figure this out. I'm curious as to what you found out. I would think you wouldn't want to plant these tomatoes even if treated in your garden. I'm just wondering if my thinking was right. I couldnt get a definite answer from any source so we opted to not use the plants. I didn't feel comfortable taking the chance of not only having a good crop this year, but possibly infecting our gardens for future years. We bought new plants from a different source and destroyed the infected ones.